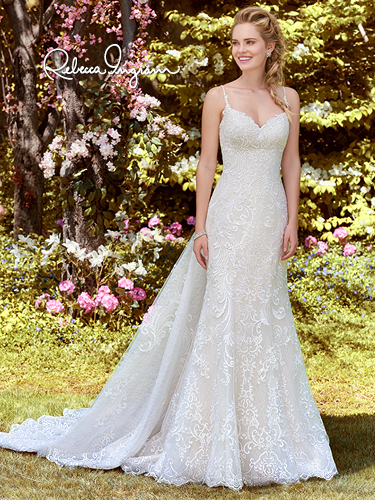 Swirls of romantic lace motifs dance over textured tulle in this fit-and-flare gown, complete with sweetheart neckline and beaded spaghetti straps. Finished with covered buttons over zipper closure. Detachable textured tulle train accented in sequins and lace sold separately.